The dry seasons and poor finishes in the Upper South East has forced many producers to look at alternative solutions to maximise the benefit from failed/failing canola crops. Turning canola into hay or silage has been an option. This strategy also proved to be a successful salvage option during the 2006/2007 drought; particularly for those faced with getting their livestock through a forage shortage, and the high cost of purchased feed. However, for hay and canola silage to be successful there are a few considerations to take into account. The Australian feed analysis lab ‘FEEDTEST’ analysed over 700 samples of canola silage and hay during the 2006/2007 drought. There was a huge range of values for canola hay with Metabolisable energy ranging from 4.1-13.1 MJ/kg DM, crude protein ranging from 4-27.2% and Neutral Detergent Fibre (NDF) from 25.4 – 77.8%. 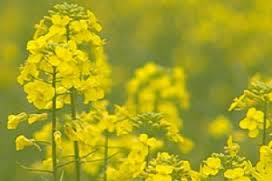 The large range of values was reflected similarly in canola silage with Metabolisable energy ranging from 6.8-12.4 MJ/kg DM, 7.3-28.4 % crude protein and 25.6-67% Neutral Detergent Fibre. NDF values below 30% can result in possible rumen health issues (such as acidosis) whilst values above 50% will decrease forage intake. The decision to ensile or bale for hay will depend on the individual producer. Ensiled canola tends to have a higher feed value than canola hay. However hay is more marketable than silage due to the potential damage to bales that can occur during the transport of silage. The cost of making canola hay is far cheaper than the cost of making canola silage. On the other hand the risks to making canola hay are much higher than making canola silage. The feed value of canola hay/silage comes back to when it is cut. Canola crops cut late, after flowering, will be of a lower feed value. The hardest part to making the decision for many producers is the question in the back of their minds - what if it rains? It is important to make an informed decision either way, by weighing up yield estimates, available subsoil moisture, weather forecasts, the cost/profitability of harvesting versus putting the crop into hay and silage, and the value of that crop as stock feed or saleable feed. Before cutting ensure you have checked the withholding period on any chemicals you have applied to the crop and ensure that these have expired before you cut the crop. The most profitable time to cut the crop is late flowering to optimise yield and quality. If cut earlier the quality his high but there is additional risk involved as it takes longer to dry particularly if it’s not conditioned. Conditioning the canola crop will help improve the quality in a few different ways. The time it takes to cure is reduced through cracking of the stem which allows moisture to escape. Cracking the stems also makes them more palatable to livestock. Conditioning will also reduce the time from cutting to baling which reduces the amount of high quality dry matter lost particularly in the leaves. Canola has a thicker stem than may other crops which can affect palatability. Producers have overcome this issue in the past by cutting the crop at 15-20 cm rather than at 5cm, which improves the overall quality and palatability. Due to this thick stem it is advisable that the canola is wrapped with at least four layers of netwrap before wrapping with the plastic wrap to reduce the risk of puncturing the plastic. Also wrap bales at the site of storage to reduce the damage caused to the plastic wrap during the transport of bales. Canola if cut at flowering will have a high moisture content of 75-80% and wilting down to 65% moisture will take some time. Seepage or effluent from ensiled canola bales will occur if the moisture is greater than 70%. It is advisable that due to the low soluble carbohydrate levels found in canola, the addition of a bacterial silage inoculate is very beneficial. The nutrition of the crop will have a significant influence on the feed value of the crop and potential health issues. Nitrogen applications will contribute to the crude protein level of the feed but can also result in nitrate poisoning in livestock, particularly if the crop has been stressed which is highly likely in a dry year situation. Health issues resulting from feeding canola hay and silage are uncommon however they do occur. It is imperative that you get a feed analysis on the hay or silage prior to feeding it. The feed analysis needs to include an analysis of the nitrate and sulphur content of the feed. High nitrate levels will cause toxicity to ruminants; levels should not exceed 0.5% with anything over 1% considered dangerous. Ensiling canola will reduce the nitrate levels by 30-70% making crops that are potentially very toxic due to high nitrogen applications safer. Nitrate toxicity will result in scouring, a rough coat, shivering and staggers. Livestock may also become sensitive to light and develop photosensitization; with symptoms including reddening and scabs around the ears, muzzle, or other areas. Canola can be very high in sulphur 0.5-1.3% on a dry matter basis. The recommended upper limit for sulphur is 0.4% on a dry matter basis. High sulphur levels will result in polioencephalomalacia (PEM), which is a disease that causes lesions on the brain and often results in death. Those cases where issues have occurred are when hungry animals have been fed canola hay or silage with unlimited access or as the sole diet. The canola hay or silage should not comprise of more than 50-60% of the total diet to avoid any health issues including toxicities, scouring or bloat. Livestock should be slowly introduced to canola hay and silage when it is first added to their diet and closely monitored as with any new feed. Feeding canola hay and silage for long periods may inhibit the use of trace minerals, particularly copper and selenium. So it is advisable that a trace mineral supplementation program be in place. It may take a few days for livestock to become accustomed to the taste of canola hay or silage and many believe it is the high sulfur content combined with the stemmy nature of canola that can make it somewhat unpalatable. However it generally does not take long for livestock to become accustomed to it. Failed canola can be cut for hay and silage to cover some of the costs of growing the crop. This can be sometimes be profitable and if managed correctly can result in very valuable stock feed. For further information contact Tiffany Bennett on 0488 524 609.